CSS/HTML : ID or CLASS attribute? Which one to use when ? Elements can have both CLASS and ID attributes. So you can can even more flexibility. The most natural assumption is that $ in jQuery is equivalent to document.getElementById. But it is NOT !! Took me a while to figure it out. $("#elementId") method gives a jQuery object that is always an array of Elements. A very cool feature from google GMAIL ! Now you can drag and drop attachments and insert invitations directly in 'compose mail'. Simply drag single/multiple files into the 'Compose Mail' window ! ShiftIt: Windows 7 Aero Snap for Your Mac ! Wondered if you wanted to get the smart resizing introduced in Windows 7 on your Mac ? 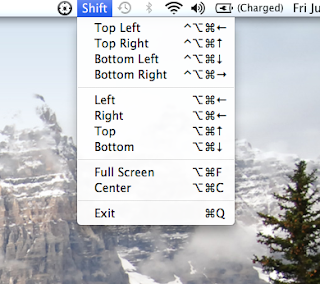 ShiftIt is a free download for Mac OS X only. Theres another software Called Cinch http://www.irradiatedsoftware.com/cinch/ ,but you need to pay for it ! 1. Download the plugin from web and place both the "features" and "plugins" folder's contents into your eclipse installation features and plugins folders respectively. 2. You can install through "Update Manager"() by giving the update URL. Note: The disadvantage with the above approaches are, all the installed plugins will work for only your eclipse installation. If your eclipse crashes, you will ended up with installing all the plugins that you did. And moreover every team member has to do the same every time they install Eclipse. 2. Download the plugins from web and place features folder contents and plugin folder contents into respective folders that you have created above. 4. Finally launch the eclipse. It will notices the links/plugin.link file and load any plugins from that path as well. Advantage: With this approach you will be decoupling external plugins with your eclipse installation so that way you can have your team share the same plugins every time they change their project preferences or eclipse installation. "OffiSync integrates between MS Office on the desktop and Google Apps on the cloud, allowing users to work together on the same files and see changes in real time, access document from any computer and share files with people in a secure way." FaceBook: Cannot Invite Fans to a Fan Page Event. Just realized I cannot Invite Fans to Fan Page Event . It is so very annoying. If your following the “Simple Acl Controlled Application” , then you might see the above error message. Beautiful BING images as your Desktop Wallpaper !! Theres a BING downloader http://bing.codeplex.com/releases/ , helps to download the current BING image and sets as your Desktop Wallpaper. This app requires .NET Framework for working. 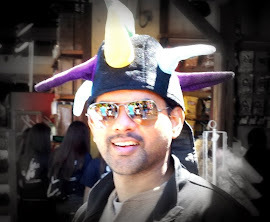 Download and install the latest .NET framework as well.